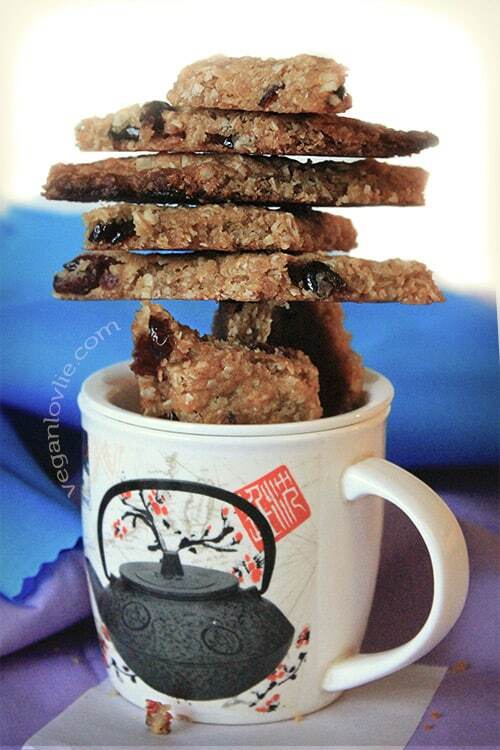 Diamond crunchy vegan oatmeal cookies are thin, crispy and filled with dried cranberries. 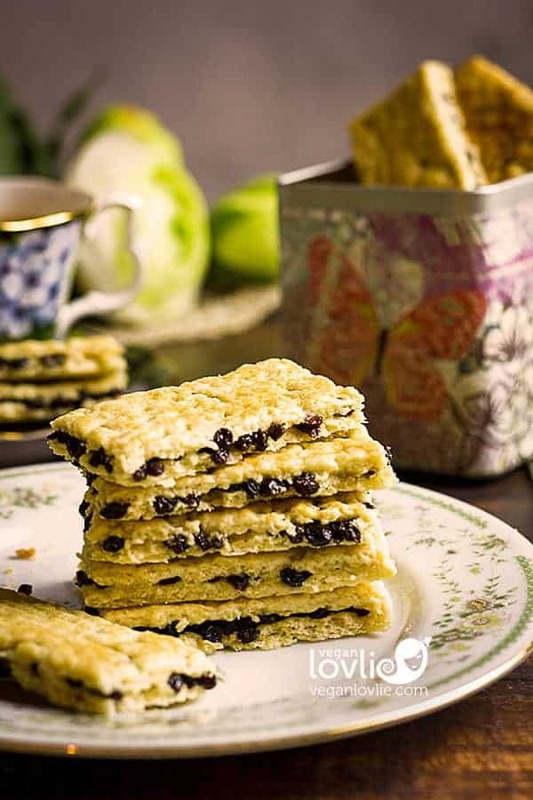 These oat cookies are somewhat reminiscence of oat cakes and are great as a snack at any time of the day. Photo was taken while Boyfriendlovlie was practising his zen balancing with the cookies. The one thing that got me excited when I moved to Canada was that Oreos are vegan here. Another taste of the so-loved (pre-vegan) childhood treat, was something quite unique despite it being just-an-Oreo. Sadly, after binging on quite a few packs, I obviously reaped the consequences of a little too many. As it goes: every taste lands on the waist! Sluggishness started to settle in – not a great feeling at all. Oreos are now only for the boyfriend. What would I not give to be able to eat them like he does and still not put on an ounce of fat. *sigh*. 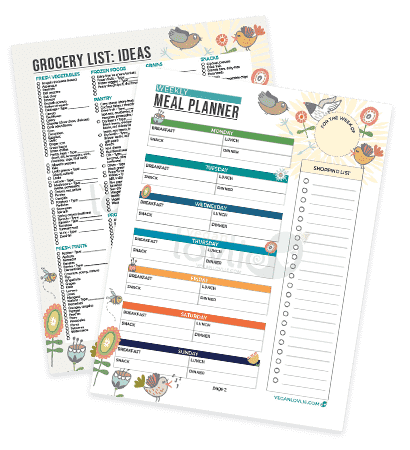 Despite abstaining from Oreos, the truth was my sweet tooth was still gnawing to be satisfied; I was left with no other choice than to have recourse to something homemade. 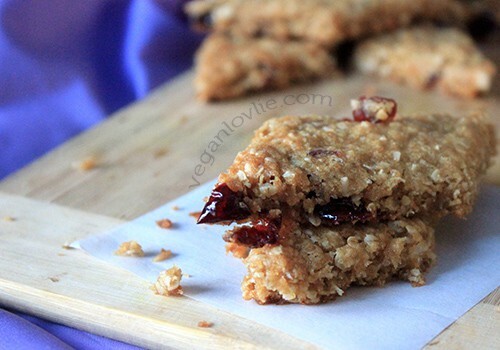 I wouldn’t say these vegan oatmeal cookies with cranberry are super healthy but at the very least I know what I’ve put in them. Oats being filling too, I would only need to eat one or two. What makes these cookies really superior is the overnight chill in the refrigerator. You wouldn’t want to omit that step because, trust me, it does make a whole lot of difference. If you are in a hurry though, you may just chill the dough for at least 2 hours although it may lack the crispness and bolder taste than an overnight chill would give it. 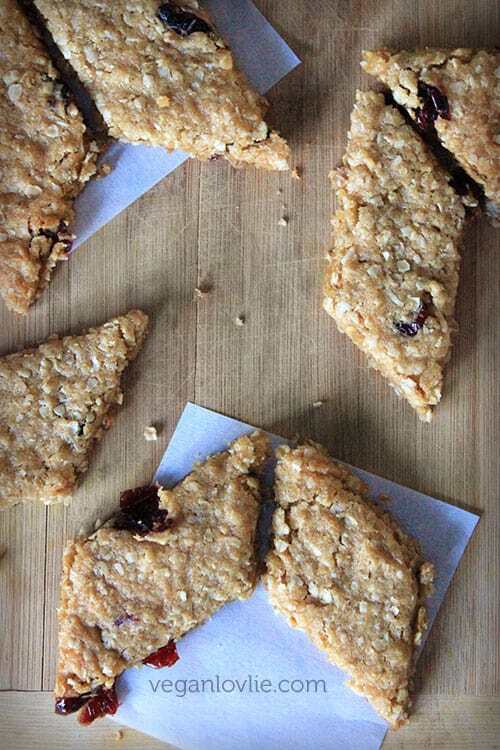 Diamonds are a girl’s best friend … so I’ve cut these crunchy oatmeal cookies into diamond shapes for a classier bite! Sieve flour and baking powder together in a large bowl. Add oats, salt, coconut flakes, sugar and cranberries. Mix well. Drop the margarine in the dry mix. Incorporate the margarine by cutting it into smaller pieces in the flour. Then mix either with a wooden spoon or with the hands. Add the milk, molasses and vanilla extract. Mix to form a sticky dough. Once everything is well mixed, transfer into an airtight container, and refrigerate overnight or for at least 2 hours. (I left mine overnight). When ready to bake, preheat oven at 200 degrees Celsius (400 F). Drop mixture on a baking tray lined with greaseproof paper. Spread the cookie dough and line the tray, flattening to about 1/2 cm. Bake for 12 minutes. (Keep an eye on it as it bakes really quick). Remove from oven. The edges will be slightly more baked than the centre and they will already be crispy. The centre will still be soft, it will become crispy upon cooling. While still hot and soft, cut the cookie into diamond shapes (or any shape you like). Let cool completely before separating the shapes. Keep in a air-tight cookie jar and eat moderately! These are the perfect tea-time treat. Diamond crisp-crunchy oatmeal cookies are thin, crispy and filled with dried cranberries. 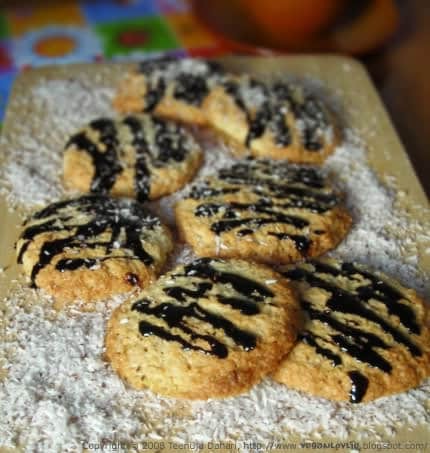 These oat cookies are somewhat reminiscence of oat cakes and are great as a snack at any time of the day. The centre will still be soft, it will harden upon cooling. 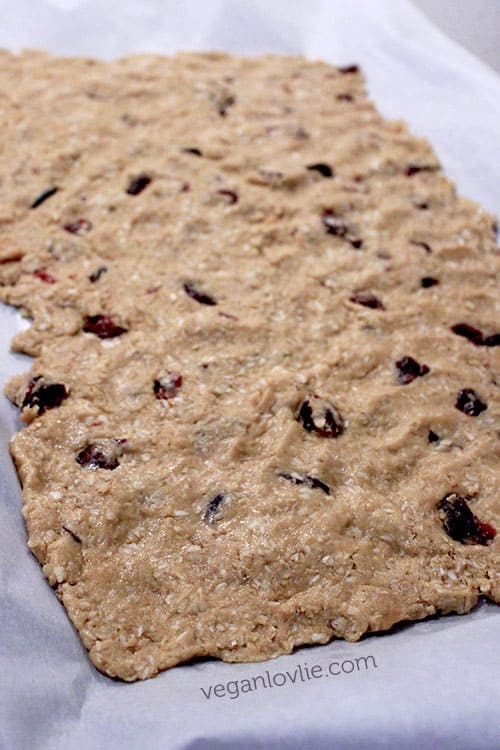 Love these Crunchy Vegan Oatmeal Cookies with Cranberries? Don’t forget to pin it for later. 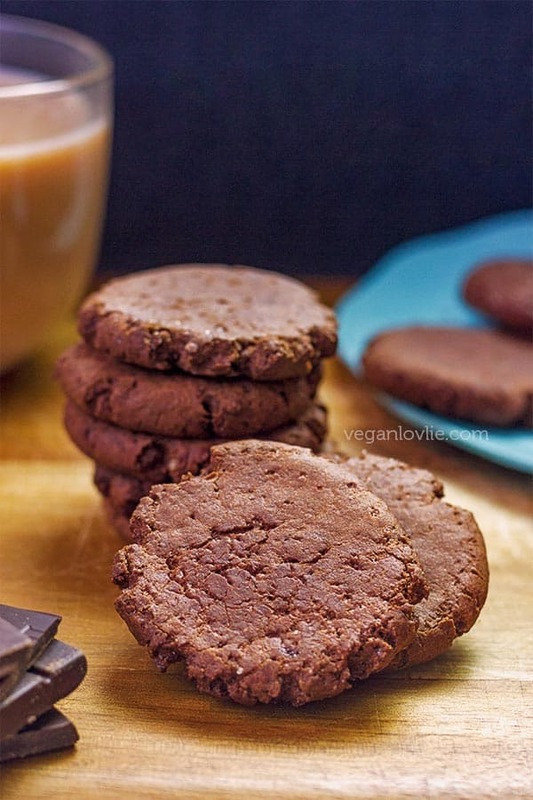 Your cookies look much better than oreos! I think that oreos are (accidentally) vegan in the U.S., too.